Stock markets have a well deserved reputation for their ability to see through current events and to predict what the economy will be doing 3-6 months into the future. This unique ability can often be confounding to investors who are firmly rooted in the present. Although its predictive ability is not absolute, it tends to be right most of the time. So what is the market telling us with the Dow industrials hitting record highs for the last seven trading sessions? The economy has continued to expand for the past 7 years. Is it telling us that we will likely dodge a recession for the foreseeable future? Is it telling us that the string of declining corporate earnings for five quarters in a row is coming to an end? Or is it telling us that Donald J. Trump will be the 45th president of the United States? Let’s take these one at a time. The market has been at its shakiest in predicting future recessions largely due to its ability to react to short term shocks such as acts of terrorism, or the unexpected death of a world leader. With all of the global as well as domestic upheaval of late it is remarkable how stable markets have remained. The global flight to safety has caused interest rates in the U.S. to plummet to unheard of lows this month. A recession, to my knowledge, has never occurred in an environment of falling interest rates. Corporate earnings have been dinged by the strength of the dollar, as well as falling crude oil prices. With dollar strength abating and energy prices increasing, it is no longer a foregone conclusion that corporate earnings will continue their descent. What is interesting is that market leadership seems to be shifting from bond-proxy and defensive stocks to those that move with economic cycles. 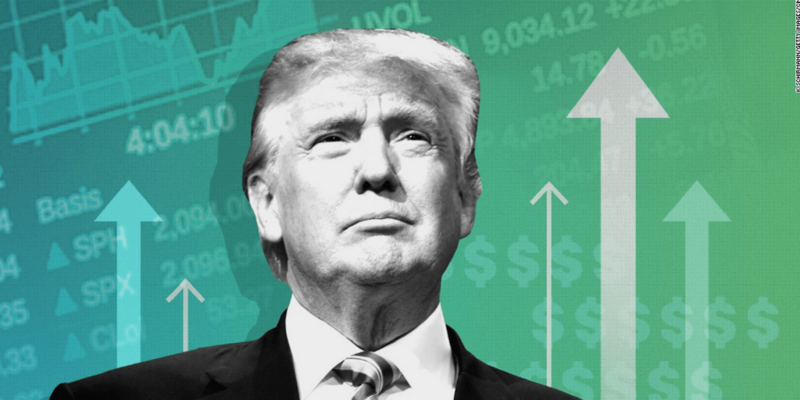 Daniel Clifton of Strategas Research Partners, claims the S&P 500 has correctly “predicted” the presidential winner in 19 of the past 22 presidential elections. If the market rises in the 3 months before the election the incumbent party candidate wins. So a rising market does not bode well for The Donald. Will he beat the odds again? Stay tuned for the next episode of the ultimate reality show: Election 2016.